While Bhubaneswar gears up for sustainable practices in construction and land development, the Government has envisaged establishing the environmental cell. The advertisements for the recruitment of professionals in the environmental cell have been floated. Also, to maintain the sustainable approach as to city planning, the Government is introducing provisions on Water Sensitive Urban Design (WSUD). “For the environmental cell, we have planned it as a multidisciplinary cell with experts from different fields who are designed to work as a team towards the betterment of environment of the city. 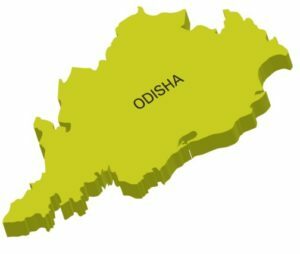 The cell will comprise of planners – one expert on water conservation and management and other on urban design expert,” said Bhubaneswar Mayor Ananta Narayan Jena. “While this cell will work under the administrative head, it will transform Bhubaneswar into a more reasonable place by curbing all environmental related issues. The motive behind its formation is to tackle the problems as to water-logging and urban flooding across the city,” adds Jena. “This will help Odisha to retain its Smart City tag and act as a specimen to other cities,” Jean said.